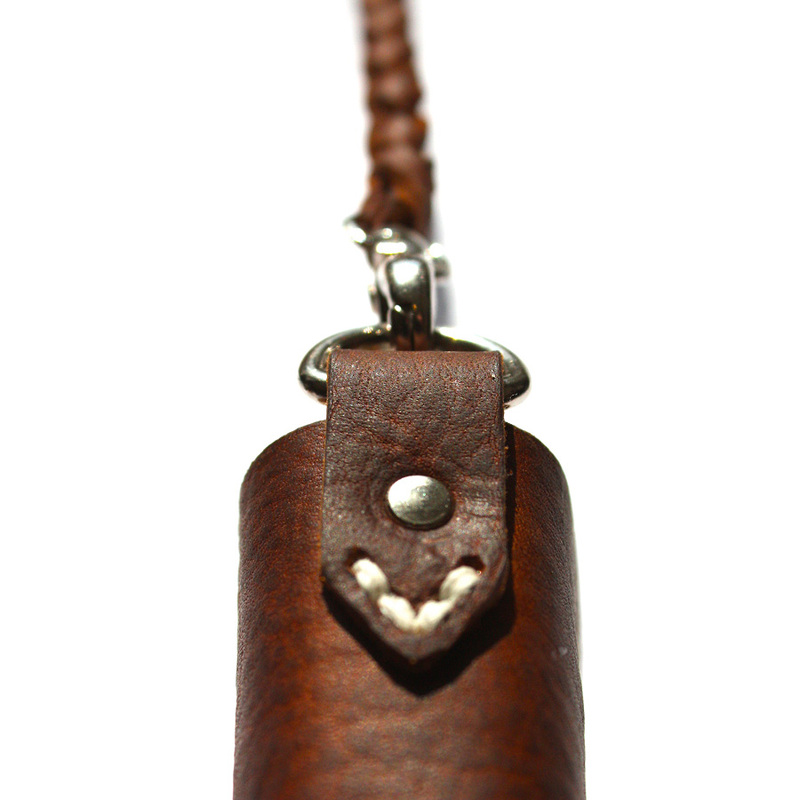 This is my personal favourite and most adventurous project yet. 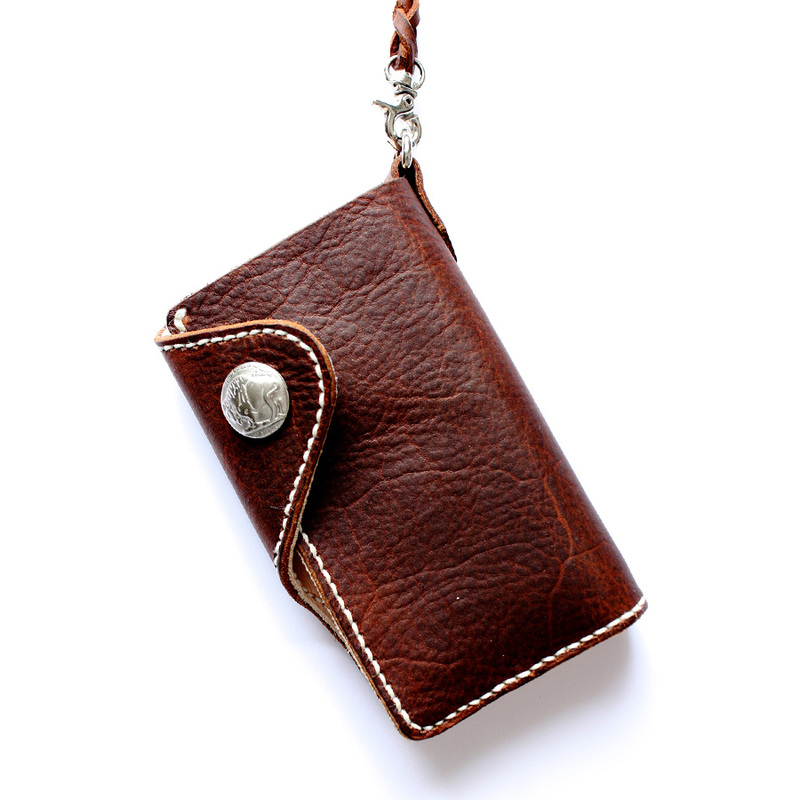 The wallet is made in two leathers, 2-3oz natural tan hide innards with an 8-10oz deep tan oiled kodiak hide outer and lanyard. 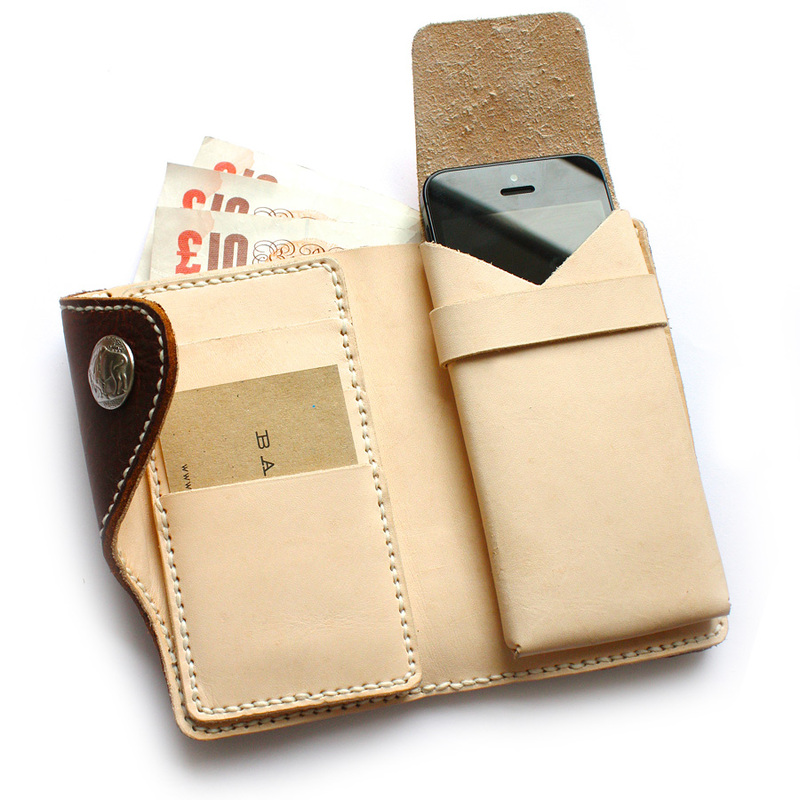 The wallets has a big cash slot, three card slots and built in iPhone pouch. Everting you need in one wallet. The new tri-fold medium sided wallet is going to be the basis for my new premium cash/card wallet - COMING SOON!